The Bosch GWS18 V-45CN 18 V EC Brushless Connected-Ready 4-1/2 In. 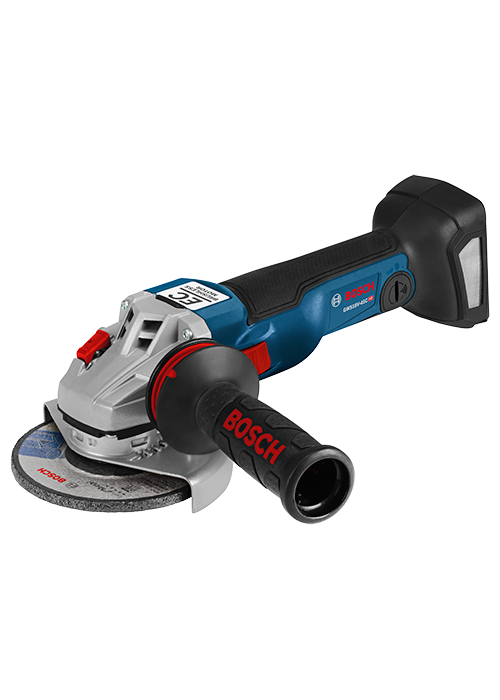 Angle Grinder combines legendary Bosch grinder performance with connected-ready capability. The GWS18 V-45C’s efficient EC Brushless motor delivers greater runtime, and it has the capacity to transfer up to 35% more power and up to 110% more runtime with an optional CORE18 V battery (sold separately). Add advanced operational electronics, and the tool provides the best cordless grinding and metal-cutting experience available. 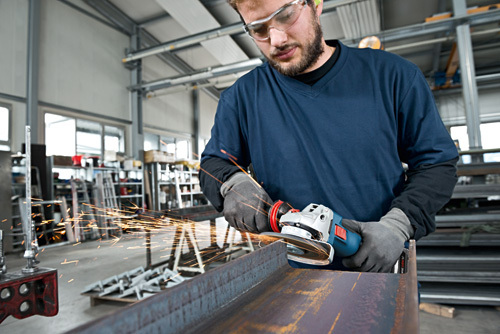 When coupled with an optional Bosch GCY30-4 Bluetooth® connectivity module, the connected-ready grinder supplies next-gen user control, using the free Bosch Toolbox app on a mobile phone. It has advanced electronics for enhanced user protection, such as KickBack Control to reduce the hazard of sudden tool reactions to binding situations, drop control to shut the grinder off after accidentally dropping the tool on the floor, restart protection to help prevent accidental start-up and soft-start technology to ease into cuts. It also features a burst-resistant wheel guard. This tool features a two-position Vibration Control side handle, ergonomic slim soft-grip design and a large spindle lock. It is a bare tool; the battery and charger are sold separately.